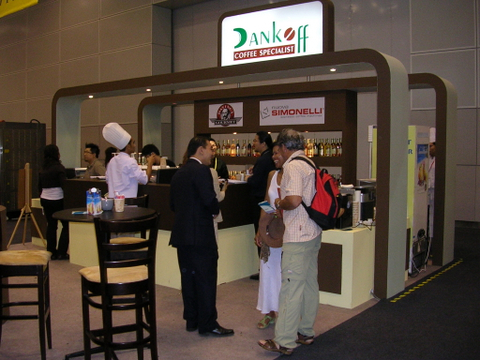 I attended the Food and Hotel Exhibition at the KL Convention Centre last week. Did not manage to get much photos. 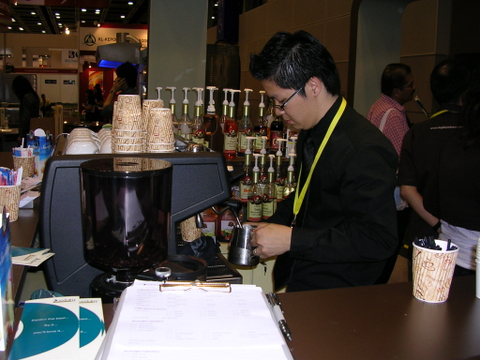 I was too engrossed with all the Coffee Specialist Exhibitors. 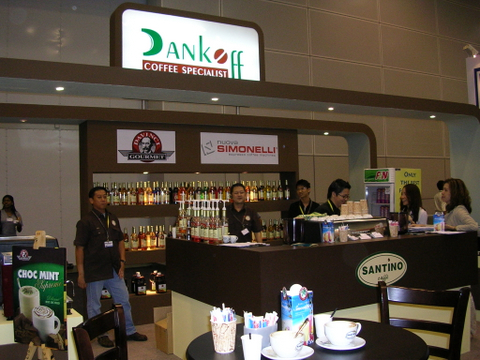 All the major coffee suppliers and distributors were there like Bon Cafe, Coffex, Dankoff, ETC Concept, Simplex Maju and some smaller players too. Most of them brought in the “heavy artillery”, meaning… high quality fresh roasted coffee and good barista. In Malaysia (if you don’t already know), great coffee virtually don’t exist because of the lack of high quality fresh roasted coffee and good barista. 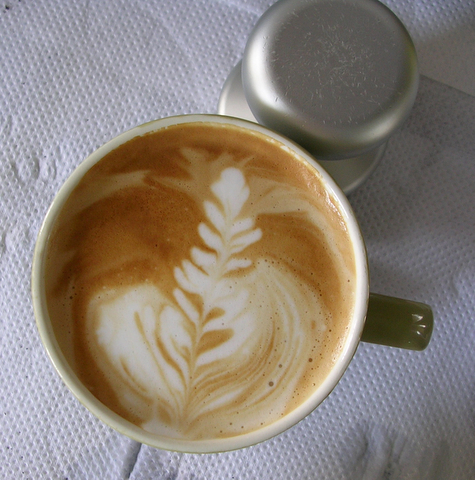 I have never had so many nice coffee in my life, apart from making them myself. Unfortunately, some exhibitors came less than prepare. Or maybe they don’t expect the competition to be so fierce. 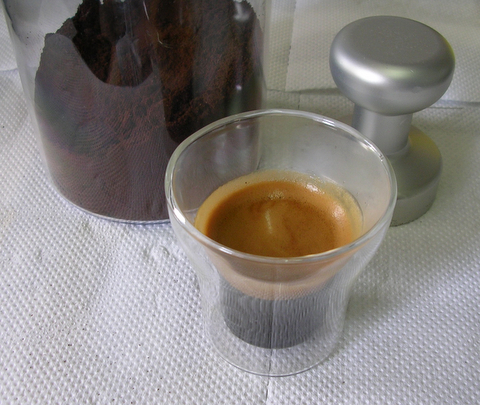 I actually tried a few espresso from some “pathetic” companies offering horrible, under-extracted watery espresso. There’s a company promoting their “Elephant Beans”. Yes, the beans are BIG and tasted equally horrible. Ok, on with the good stuff. My first espresso, from Boncafe. Their baristas came from Singapore. What do you know? Not bad. But when I asked him how fresh is the beans, he gave me a puzzled look and fiddled with some pack coffee from the back. The pack says 3 months old. Actually the beans were quite fresh (I assume), because those on display in the front all shown to be about 2 weeks from roasting date. BonCafe. They brought in their best for the show. 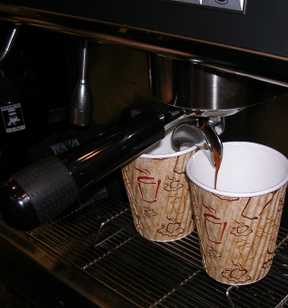 Don’t expect fresh roasted coffee if you are trying to buy in a supermarket. Brought their barista from Australia. Again, I asked the barista about the freshness of his coffee. Again, not sure. Went fiddled with the coffee bag and told me in a very accented Australian English, 8 days. Had an espresso. Hey, even better than Boncafe. More pronounced and more complex. Tasted fine. I only wish that whenever I come across any food outlet that serves Coffex Coffee in the future will taste as good. Like I always mentioned, you want great coffee, do it yourselves. Here are the beautiful girls selling beautiful home machines. And here are the hardwares. 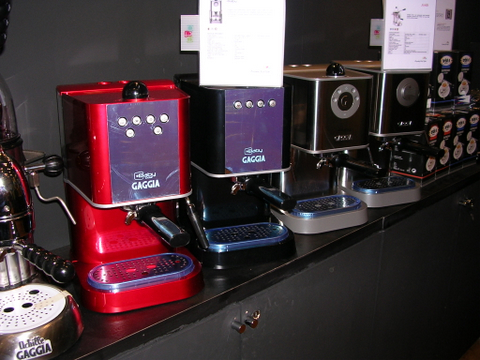 Gaggia Espresso Machines. The only brand worth your time currently that is available in the market that is accessible to consumers. Forget about those machine you often seen in Isetan, Metrojaya or Harvey Norman types of retailer. Those are toys in comparison. 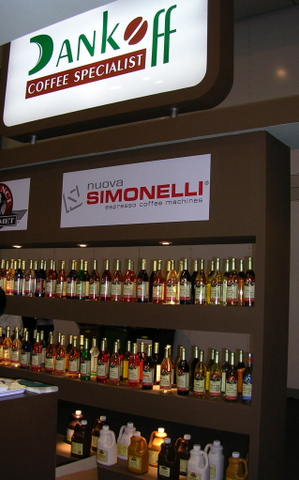 I hope more suppliers will bring in other serious home espresso machines like Rancilio Silvia. Some supplier does offer to import specifically for you but the cost is really high. For now, if you are looking for home machines, ETC Concept is the place to go. They are located at the Curve. Their beans are roasted in Singapore. 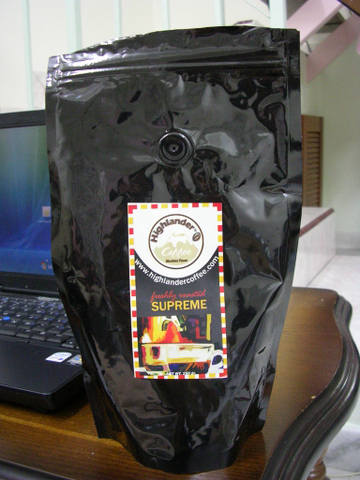 Their associates from Highlander Coffee brought over some high quality fresh roasted blend. Only 2 days from roasting. 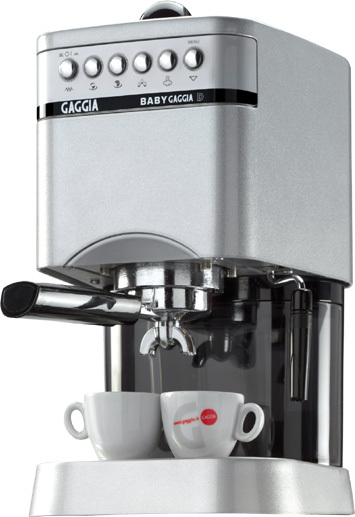 Makes excellent espresso and just as good for cappuccinos. The espresso is the best I’ve tried. Smooth, pleasant acidity, detected some fruitiness, good body and a nice aftertaste. Here is Boyd, the barista pulling a shot. Here you see Jeffrey(left) and Phil(Center) from Highlander Coffee. These guys are passionate about coffee. Here is Danny of DanKoff chating with some customer. Thanks to Highlander Coffee (Phil, Cedric and Jeffrey) for bringing me some excellent fresh roasted coffee. 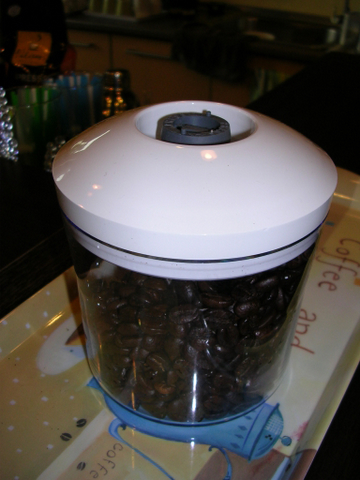 If you want to store coffee properly, put it in a vacuumed container and pump the air out. Then keep them in a cool, dark and dry place. You can store them for a week, at most 2. roasted coffee beans by they nature, continues to deteriorate. You cannot really stop that process. Regardless of how they are packed, you don’t call them fresh after 2 weeks. Can’t wait to test them myself. Tasted just as good. Well nothing can compare to high quality fresh roasted beans. My poor attempt of a latte art on my cappuccino. Not very presentable but still tasted fine. Can’t wait for the exhibition in 2 years time. P.S: Need contact, reference and recommendations? Drop me a line or two. 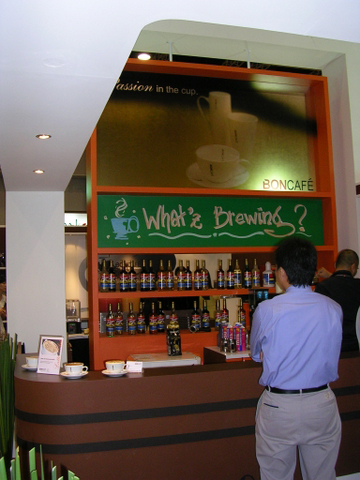 This entry was posted in Boncafe, Coffee, Coffee Beans, Coffex, Dankoff, espresso, ETC Concept, Highlander, Malaysia on August 31, 2007 by KF Chan. I have only caught glimpses of great espresso. Just when I thought that Japan = green tea, what do you know? Their coffee culture is way more advance than us in Malaysia. I tried 2 places in Tokyo. I can’t wait for another opportunity to go back for their espresso. But what about in Malaysia? I have said that there is no coffee outlet with good espresso. That is still true. I’m waiting for someone to point me to the right place. But then, I did experience consistent decent espresso in Malaysia. Whenever I visit my coffee supplier at Dankoff, very often I get decent espresso there. Not really great, but definitely the best in Malaysia. But since it is not a restaurant or coffee shop, you cannot come over and buy a shot of espresso. Once when Danny’s friend, Phil (www.highlandercoffee.com)came over from Singapore and brought some really fresh roasted premium quality coffee beans, WOW…. that was really GREAT espresso. I hope to get some really fresh roast and make them at home. 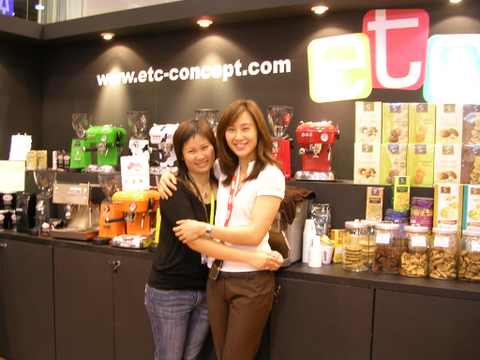 This entry was posted in Coffee, Coffee Beans, espresso, Malaysia on August 16, 2007 by KF Chan. I am fortunate to have experience good espresso in my life (but too little). 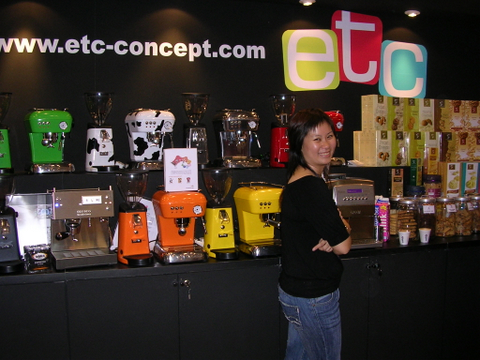 This entry was posted in Coffee, espresso, Malaysia on August 16, 2007 by KF Chan. First of all, GOOD ESPRESSO is NOT BITTER. I always got comment from my friends that asked why in the world anyone wanted to drink something so horrible, and so bitter. Well, good espresso is not very bitter. It does activate a little bit of “bitter” sensation, but not in a bad way. Just imagine eating dark chocolate. There is a little bitterness but it is expected and it is nice and necessary. The reason most people think that espresso is horrible and bitter… it is because that how most espresso taste like in Malaysia. virtually does not exist. Douglas left a comment and asked me if there is any decent place for a shot of espresso. After thinking about it for a few days, I’m unable to recall having any decent espresso shot in any coffee outlet in Malaysia. Note: taste is subjective. What I’m expressing is purely my own personal interpretation and preferences. Quality varied greatly among outlet. In fact, even if you get a passable shot in an outlet, it does not mean you will get the same quality the next visit. I must admit that some outlet does have some knowledgeable staff who will pull you a decent shot with proper extraction, meaning a shot of around 25 seconds. You need to be lucky to meet one. And when you do, you will only get a passable shot. Why, their coffee is just NOT FRESH. Forget it. I like Coffee Beans’ Vanilla Latte and their ice-blended drinks though. Their Vanilla powder will mask the poor espresso and still give a milky sweet drink. At San Francisco Coffee, don’t take anything other than their ice-blended drinks. After I tried one shot, I’m looking for some soda drinks to wash my mouth. Go try their ribs and grab a beer. Stay away from their coffee. Super Auto Espresso Machine serving tonnes of people. I automatically adjust my expectation to the lowest possible and “enjoyed” their coffee as it is. So damned hot it burnt my tongue. Complained also no response. Waste of time to try their coffee, much less their espresso. Ahh.. Hoca. Just tried a double espresso yesterday. Freshness is there. Crema is there. But serve to me in a big cappuccino cup. Bad after taste. I think their blend is heavy in Robusta. Very bitter. Located in Bukit Bintang. I can tell you, sometimes the worst espresso you can try are those from restaurant that put the word “Italian” in their sign board. Yucks. Sad to say I have yet to have any above average espresso in Malaysia. When I’m lucky, I got an average shot from Starbucks. Other time it is between below average to “quick, give me a coke to wash my mouth” experience. If any of you guys and gals encounter any GOOD experience of espresso or coffee in Kuala Lumpur, Malaysia, please tell me know. I’ll go and try. 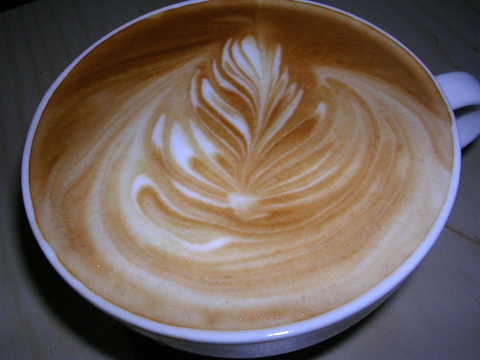 This entry was posted in Coffee, Coffee Beans, espresso, Hoca, Malaysia, San Francisco Coffee, Starbucks on August 16, 2007 by KF Chan. I don’t usually make any drinks on weekdays. Normally came back from work late. Don’t want to stay up all night. But today manage to come back early. And since I just got some pretty decent fresh roasted beans, can’t wait to make a nice drink or two. 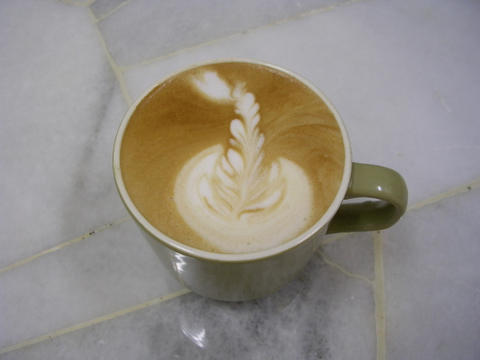 This entry was posted in Coffee, espresso, Malaysia on August 1, 2007 by KF Chan. The shop where I bought my excellent espresso machine is selling that same model at 25% discount. It is a demo unit. If they offer warranty, it will be an excellent buy.